There are two popular ways of dealing with instrument articulations in Logic. Key switches, which work but gives you little overview of what’s going on. And loads of tracks - which gives you better overview but results in a gigantic track counts and that limits your overview again. But, what if you want to simply draw the articulations right into the automation lane? And see real articulation names instead of cryptical notes or channels? Transpose without destroying key switches? Then, Art Conductor is the right tool for you. All you need to do is to choose which articulation plays at which point in time. Watch our video below and you'll instantly understand. Art Conductor 2.1 supports over 30 first class sample libraries right out of the box. That's over 500 presets in total, or over 4500 articulations. There's no complicated setup and no messing around with Logic's environment at all. You just load the preset and go. Nevertheless, you can create your own presets. Easily - without programming knowledge. Because all you need to know is which articulation sits on which key switch or MIDI channel. And that's easy because pretty much every instrument shows this info anyway. We've even designed extra versions for Spitfire Audio, EastWest Play and Vienna instruments to support exclusive features. 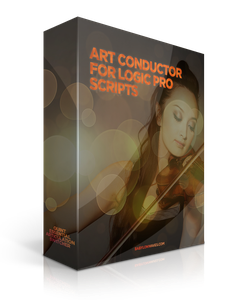 "Art Conductor has breathed new life into several of my Sample Libraries. Being able to edit and see the name of each articulation right in the automation lane removes and the frustration and guesswork of using key switching. Great Job!" We accept PayPal. You can use PayPal without having an account and also use your VISA / MASTERCARD / AMEX through PayPal. We make useful things for musicians - build with love and dedication by experienced composers and software architects. Our mission is to create tool which allow you to focus on your creativity. The information provided on this site is subject to change without notice. All product names and company names used on this webpage are (registered) brand names or trademarks of each respective holders, and Babylonwaves is not associated or affiliated with them.